Evolve has been kind of an interesting study in terms of how to release, and then maintain, a video game. Though it debuted to a lot of hype, and maintained that hype throughout, when it was released, it had certain problems. Mainly, that you had to pay to do a lot of things inside the game, which did not please gamers. This lead to many not playing the game at all, or abandoning it after a while. 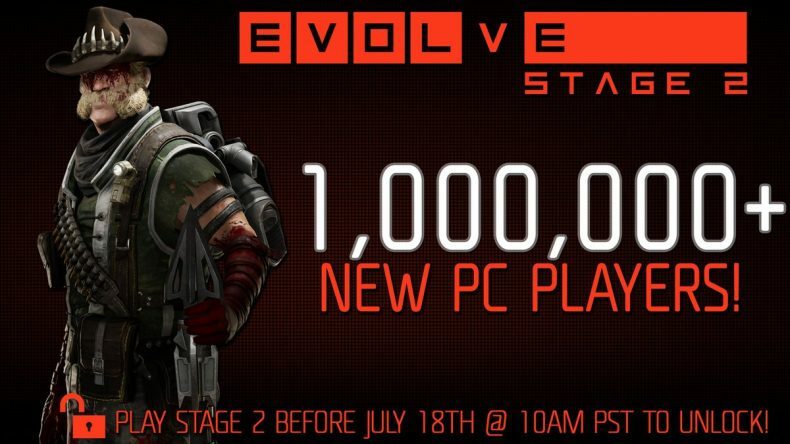 In response, developer Turtle Rock created “Evolve: Stage 2” a free-to-play version that would completely replace the original. And it appears to be working, for the team revealed on Twitter that they have reached 1 million players in less than a week under the free-to-play model. It will be interesting to watch and see where Evolve: Stage 2 goes from here.